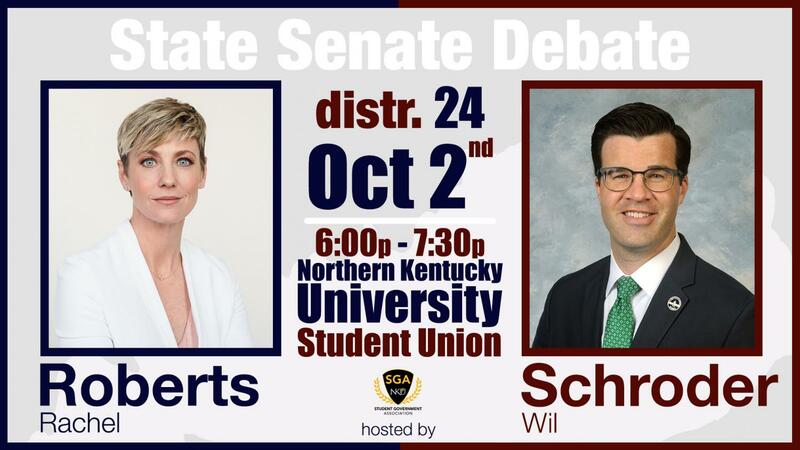 Sen. Wil Schroder and Rachel Roberts are running in NKU's district, which includes Campbell, Bracken and Pendleton counties. The debate is set for Tuesday, Oct. 2 at 6 p.m. in the Student Union Ballroom. Moderators Pat Crowley, a partner at Strategic Advisers and a former Cincinnati Enquirer reporter, and Sam Rosenstiel, Northerner Editor-in-Chief, will ask candidates questions on state and local issues. Elected in 2014, Schroder is an NKU and Chase College of Law alum. He is currently a public finance lawyer at Dinsmore and looks forward to talking about jobs, higher education and Kentucky families during the debate. “Kentucky’s families are better off now than they were four years ago thanks to record-low unemployment and rising wages. But there’s still work that needs to be done to ensure the future remains bright for our children and prosperous for our retired,” Schroder said. Roberts, a northern Kentucky businesswoman and entrepreneur, looks forward to debating topics like pension, healthcare and education. “Like so many people I’ve spoken with, I’m exhausted by career politicians from legacy families who say they’re going to fix things and then do nothing. The corruption must end. Our economy has the need for a strong, educated, well-trained workforce and the path forward is through education,” Roberts said. Doors open at 5:30 p.m. and the event is free to the public. The debate will stream on Facebook Live starting at 6 p.m. here. 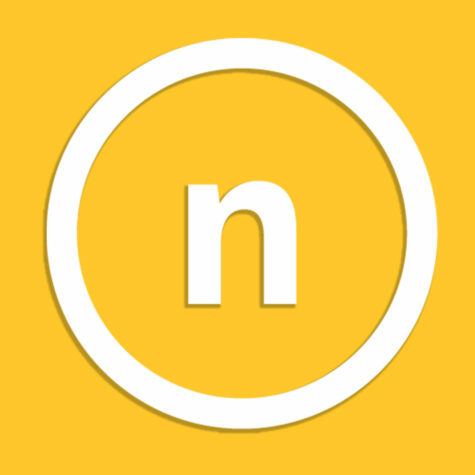 Follow @northernermedia for updates and live tweets during the event.